Home > Educational Materials > Biology Educational Materials > PCR Learning Activities > What's the Source of the Food Poisoning? What's the Source of the Food Poisoning? Your students are medical professionals trying to save a patient's life by identifying a food-borne illness-causing microbe. Imagine a patient came into the emergency room and was diagnosed with food poisoning and the doctors want to know which illness-causing microbe is responsible. Kit I: Allows students to perform a restriction digest of four DNA plasmids and compare their sizes via Agarose Gel Electrophoresis. 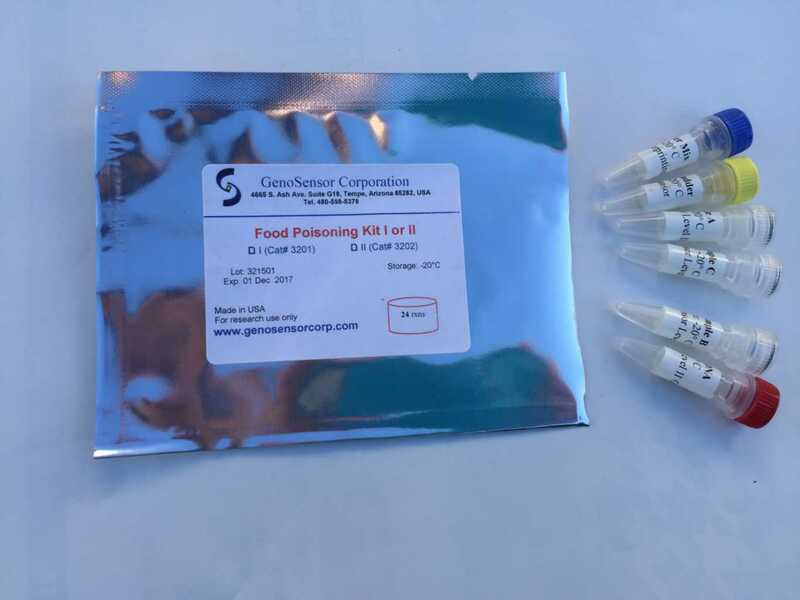 Kit II: Allows students to amplify four DNA samples via Polymerase Chane Reaction (PCR) and observe visible bands via Agarose Gel Electrophoresis. Invludes Master mix (including primers and enzyme) and DNA ladder. The kit includes four DNA plasmids. Three representing a microbe, and a fourth, "unknown" sample from the patient. After completing the experiment, students will not only discover which microbe is responsible, but they will also cement their understanding of the genetic concepts associated with these two experiments. Ordering information: Kits come with directions to download instructional material and procedures. Equipment needed but not included: Heat block/water bath for restriction. Thermal cycler for PCR, microcentrifuge; vortex for sample preparation. Electrophoresis equipment/reagents including transilluminator/light box for analysis.